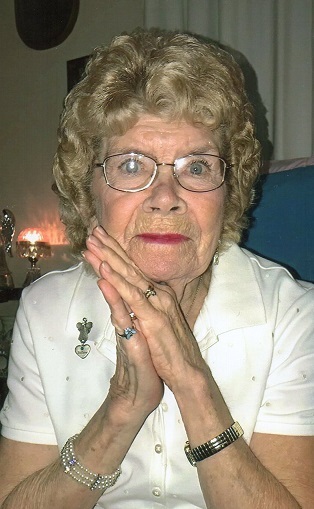 Shirley Ann Coggon-Pitt, 84 of Whitewater, WI, died Saturday, April 6, 2019 at Fort Atkinson Memorial Hospital in Fort Atkinson, WI. She was born May 13, 1934 in Milwaukee, WI, the daughter to the late Edward and Daisy (Wing) Lyons. Shirley married Cecil E. Coggon on May 29, 1952, who preceded her in death on June 2 1990. She was later united in marriage to Lou L. Pitt, who also preceded her in death on December 9, 2007. Shirley was a member of Millard Community Church in Elkhorn, WI. She enjoyed playing bingo, canning, and baking, she was especially known for her brownies and cookies. Shirley is survived by her four children; Cindy (Dale Schmidt) Thom of Darien, WI, Randy Coggon of Elkhorn, WI, Bonnie (Rusty) Pitt of Whitewater, WI, and John (Tammy) Coggon of Delavan, WI, brother, Jerry Lyons of FL, 11 grandchildren, 26 great-grandchildren and 5 great-great grandchildren and by a host of other relatives and friends. She was preceded in death by her two husbands, Cecil and Lou, 2 infant children and 8 siblings. Visitation will be 4:00 PM until 7:00 PM followed by a service at 7:00 PM Thursday, April 11, 2019 at Haase-Lockwood & Associates Funeral Homes and Crematory, 730 N. Wisconsin St. Elkhorn, WI, with Pastor Lyle Heinitz officiating. Interment will be 11:00AM on Friday, April 12, 2019 at Siloam Cemetery in the town of Sullivan, Jefferson County, WI. Online guest book at www.haaselockwoodfhs.com. Arrangements completed by Haase-Lockwood & Associates Funeral Homes and Crematory.